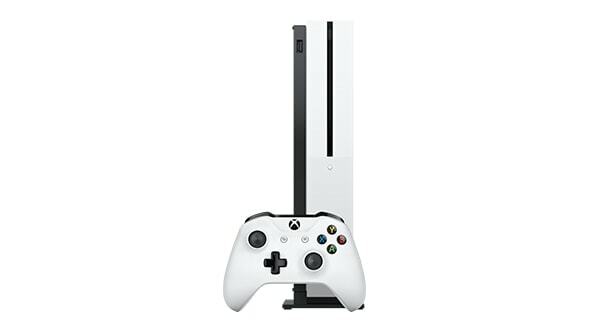 Home Technology Tech Buzz: XBox One S Does Size Matter? The Xbox One S just released earlier this month and the geeks are buzzing. All you hear on the street is how someone wants to get their hands on one. Well, if you don’t know about the new console then let me break it down for you. The new Xbox is 40% smaller than its predecessor, but don’t think for one moment that it might have 40% less power. Actually, the Xbox One S has more power in its slimmer shell than the Xbox One. They’ve done away with that bulky power brick that I’m sure annoyed plenty of gamers. Plus, the Xbox One S controller has a sleeker, more streamlined design with twice the wireless range. Xbox One S also adds Bluetooth technology which allows you to play games on your PC, tablet and phone. That’s not all, by adding a headphone jack on the controller, you can use a wider variety of headphones. And, the new console allows you to watch movies, tv, or play games in 4K Ultra HD! Now we all know what happens later on down the road. You’ve been playing for a while and your memory fills up. Most gamers don’t want to delete a single thing off their hard drive because they might want to play that game later. We get, and so does Microsoft, because the Xbox One S has a 2TB hard drive. So, running out of space won’t be an issue for a long time. You also get the option of a stand with the new console, but if you’re new to gaming many will tell you not to use the stand because it’s been known to scratch your disk inside. Another thing about the Xbox One S is that it won’t be coming with a Kinect like it has in the past. You’ll still have the option of using a Kinect with your new console, but you’ll have to purchase an adapter. Xbox is eliminating the Kinect port on the new console, a clear indication the Kinect is out. But the good news is the XBox One S does offer the ability to play XBox 360 games. If you’re considering an XBox One S the starting price is $299 for the (500GB) Xbox, $399 for the (2TB) Xbox, and then $449 for a limited edition Gears of War 4 (2TB) Xbox. All of which come with everything you need to start your gaming experience. Be sure to check out sales and bundles for the best price.